London’s transport commissioner says the £14.8 billion Crossrail project is facing “increasing cost and schedule pressures”, with less than a year to go before the start of the phased launch of Elizabeth Line services through the centre of London. Mike Brown made the admission in Transport for London board papers released on January 24, citing the problematic testing of rolling stock software and delayed energisation of the route’s central section between Paddington and Abbey Wood. A TfL board meeting held on January 30 heard how an explosion at an electrical substation at Pudding Mill in November means that energisation and testing of the central section cannot now take place until the end of February. This infrastructure is due to be handed over by contractors to TfL in the summer, before services commence in December. 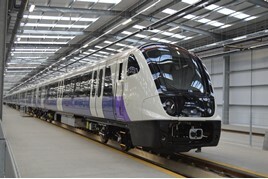 It has also emerged that testing at Melton test track of European Train Control System (ETCS) signalling equipment being fitted by Bombardier to Crossrail’s fleet of Class 345 Aventra trains is also running behind schedule. For the full story, read RAIL 846, published on February 14, and available digitally on Android and iPad from February 10.